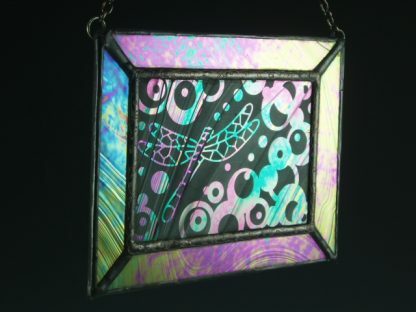 Home / Home Decor - Nestables / Stained Glass / Dragonfly Mini Window, Med. What is wonderful about mini windows? 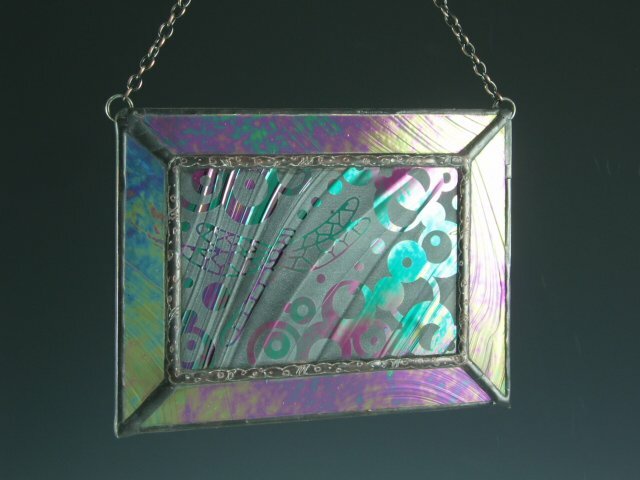 Versatile and space conserving, Mini Windows can be hung on a wall or in a window. 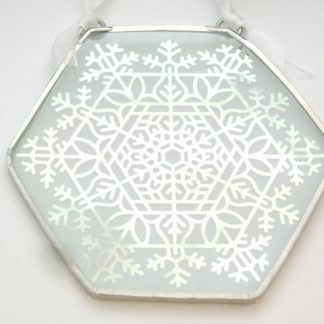 This is a great gift for anyone! 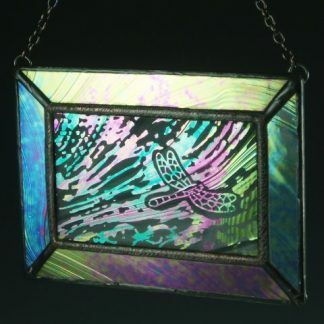 Process: traditional copper foiled stained glass, sandblasted, soldered, engraved, and finished with patina. Care Tips: I recommend indoor use, and a secure hanging hook. 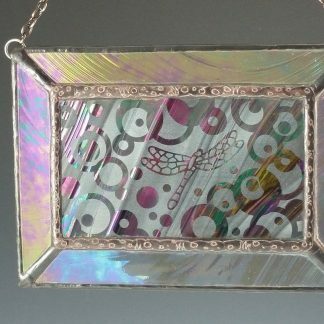 Clean gently with any glass cleaner. 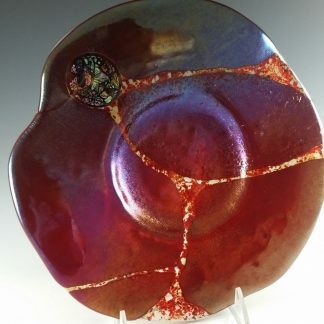 Click here to see the matching piece. 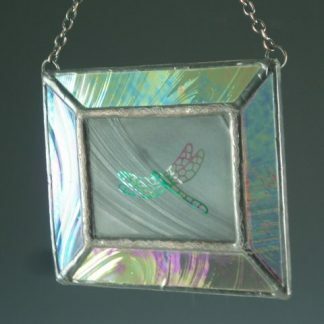 Dragonfly Mini Window II, Med. 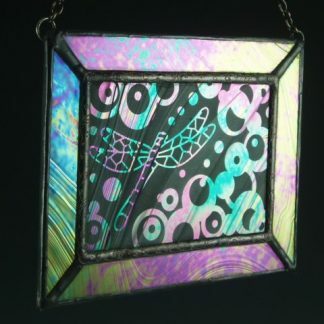 Dragonfly Mini Window III, Med. Dragonfly Mini Window, Sm. 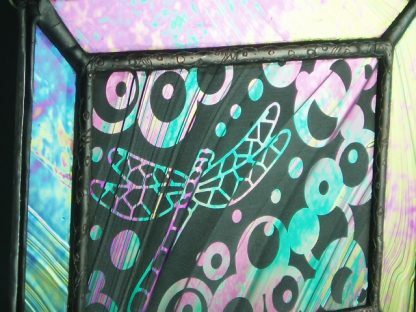 Dragonfly Mini Window II, Med.